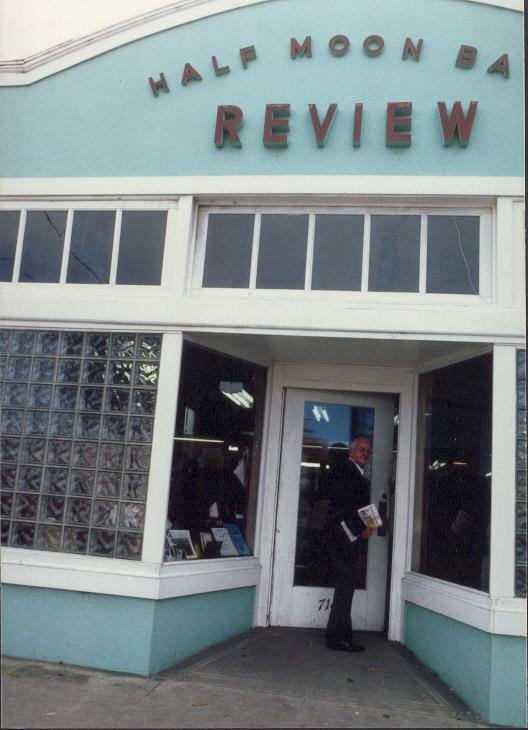 Ed Bauer, the former editor/publisher of the Half Moon Bay Review arrived on the Coastside in 1960. Twenty years later he appeared in my documentary, âThe Mystery of Half Moon Bayâ?. Here are two sets of Ed Bauerâs observatons that remain true about this special place we all call home. Ed Bauer describes the Coatside when he arrived in 1960.
âWhen I came here there was no dental office except one man who was over 87- years-oldâand he came over on Saturday afternoon from 2 to 4.
âAn excellent man, Dr. Sissom, who had an office in San Mateo, and he liked to come to Half Moon Bay on Saturday afternoons and he would attend to your teeth. ââ¦When I came here in 1960, there was one lawyer who came over here from Redwood Cityâthe late Richard Bellâand he came over on Thursday. âThat was the lawyers dayâand now  I would say we have at least six lawyers in the area who are active, very active.â? He didn’t comment on how many dentists there were in 1980, but I suspect there were fewer than there were lawyers! Ed Bauer gives an example of the type of person arriving on the Coastside circa 1980.
â..We had a man who had an excellent [law] practice in a larger city in New England. And he just wanted to leave the metropolitan area and live in a small community. âHe likes to have a rural setting. He likes the outdoors. He doesnât care to work in a downtown corporate suite. 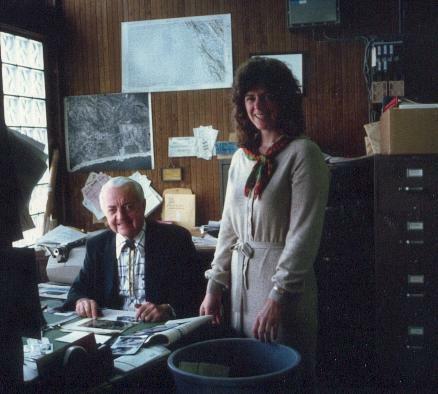 Photo: Ed Bauer with daughter, Ann.